Such an adventure is also what ultimately led L. Ron Hubbard to the founding of Dianetics and Scientology and thus, a route to previously unimagined spiritual heights. 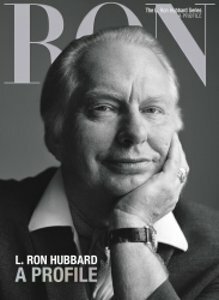 Among other landmark events of the journey: In July of 1952, L. Ron Hubbard became the first to scientifically isolate, measure and describe the human spirit, while objectively demonstrating spiritual potentials well in advance of scientific thought. Moreover, those potentials were found to be possessed by every human being and just as universally attainable. Thus developed his description of Scientology as accomplishing the goal of every great religion: Freeing the soul by wisdom. All told, L. Ron Hubbard’s works on Dianetics and Scientology comprise the largest cohesive statement on the human mind and spirit—more than 5,000 writings and 3,000 recorded lectures. Contained therein are answers to life’s most profound mysteries: the enigma of existence, the riddle of death, the realization of states not even described in earlier literature. Also from these works come Scientology technologies to rear children, repair families, educate, organize and provide relief in times of illness or suffering.